Have you ever felt like your entering the market at exactly the wrong time? You see a great trade setting up and enter, only to see the price almost instantly reverse, stop you out, and then run in the direction of your original trade. If that sounds familiar than you have been the victim of what I call a day trading stop run reversal. Market makers, banks, and institutions do not intentionally move the price in this fashion to hurt retail forex traders, they do so to profit from them. Retail forex traders do not create the moves we simply ride them. Knowing this, if we can recognize frequently recurring chart patterns such as stop run reversals, then we can effectively learn to day trade these reversal patterns. Let examine this pattern more in depth and explain the process, order flows, and supply/demand surrounding these trade setups. 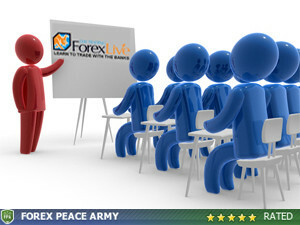 Stop hunting is something well known in the forex market, but the reasons behind “stop hunting” are not as well know. So what is the real reason behind these moves just beyond a major area of support/resistance and then a complete rejection? Quite simply put, large banks and financial institutions have to move huge sums of money and want the best price possible. If they want to go short the GBP/USD for example, they will run the price up past the previous high by a few pips or more and trigger the stop losses they know are lurking just beyond previous highs. This gives them the “supply” of orders to meet their “demand”. Additionally selling into all the buy orders (stop losses) allows them to move large sums of money and not move the market down as fast as they would without all this “supply”, thus giving them a better overall entry. Another factor supporting the stop run reversal trade setup is that of the breakout trader. Many traders buy the breaks of a previous highs and sell the breaks of previous lows. Knowing this, not only does “smart money” get the orders from those stopped out in the example above, but they also have all the people buying the breakout (supply) which only gives them more orders to sell into to meet their demand. Additionally as the larger bank or institution moves the price down after a stop run reversal setup they know that all those that bought the false breakout higher will have to begin closing the position. Its a beautiful thing for those moving large sums of money, they move the price up into an area of huge supply (stop location, as well as people buying a breakout) and thus fill their demand, then after the false break is seen, the breakout traders are forced to cover their position (sell) and thus fuel the institutions short trade. Additionally by the time this is seen by most retail traders the demand becomes so high the price has no choice but to continue down! So how can we profit from this setup. First identify previous major intraday swing in the market. Second wait for that level to break by a few pips at least and then quickly retrace back, closing as a reversal candle formation off that area of support/resistance. This forex trading strategy is similar in many respect to trading an area of support or resistance but much more powerful! Only “smart money” can move the price up and then quickly reject it which should tell you something, this is a “smart money” market move! Knowing this, jumping on the wave their creating results in some powerful day trade setups. Let the market show you what its doing first, stop trying to be the first in and just ride “smart moneys” wave! 1.) Notice the market retraces to a previous intraday swing high, briefly breaks it and is quickly rejected. Additionally the candle that broke the previous resistance closes as a nice reversal candle. The market then continues down nicely. 2.) In example #2 there is a nice double bottom that already formed. As the price looks to make a third test of this level it accelerates threw it and is quickly retraced. As with example #1 the candle that broke the support closes as a nice reversal candle formation. The market then continues up. 3.) As the market approaches the previous high it actually test and breaks the level a few times. Finally there is a strong bearish reversal candle that closes, of which you would short below that candles low. The market then continues down after the stop run of the previous high. Hey everyone, my name is Sterling Suhr. You and I more than likely have quite a bit in common when it comes to Forex trading. Like most, I started trading Forex and thought it would be rather easy. Everything I read said it would make you profitable so why wouldn't I believe it Forex trading was easy? The unfortunate part is that belief, and the hope that goes along with it pushed me into buying every scam Forex product there was. I've tried every EA, software, strategy, chart pattern, candle pattern, signal service, etc, all with negative results. The bottom line is mainstream Forex trading strategy will continue to fail retail traders. It wasn't until I realized this point did I begin to see success. On a personal note I currently reside in South Western Michigan. I personally love this part of the country and enjoy having a taste of all four seasons. I was recently married in May of 2012 and Chad has given me a stiff warning to not have children:) As a personal hobby I enjoy aviation and really anything to do with the outdoors. Your article seems to hit the target. It now makes sense to me why most of the time the market goes the opposite way and stop me out. I would love to ride with the smart money after they make their final move and I ride on their back.Thank you.for sharing your ideas. There not many like you who would share in detail their experience and knowledge. I hope that strategy helps your bottom line! I’ll be putting out some more info on trading with Smart Money shortly so stay tuned for that. If you not on the email list make sure you join as that is where the info will be sent. Happy trading! I already got screwed by this kind of movement more than thrice. Thank you for this blog posting. I recently was trying to go short on what I THOUGHT would be a pretty standard fib retracement after a major downtrend on the nzdusd pair… only to be surprised by a upward trend that seemed to come out of nowhere.. then a series of signals that the price should come down.. followed by more upward movement! I couldn’t believe it until i read your blog.. what they are doing is exactly what you stated.. triggering stops.. wow, it is humbling to see the hand of the big institutions at work.. billions of people use these currencies and the banks manipulate the #@$ out of it. well, i hope i can keep on the profit side of all of it. thanks again.